Once upon a time a woman decided she wanted a handbag. Her friends all had handbags and she decided the time was right for her to get one too. So she went to the handbag shop and asked for a new handbag. The shopkeeper told the woman there were two types of handbag to choose from. Blue or pink. The woman said she really didn’t mind what colour handbag she had, so long as it was a sturdy one, without any flaws in the leather. The shopkeeper smiled, handed her a blue handbag and congratulated her on her new acquisition. The woman took her lovely new blue bag outside into the big wide world to meet her friends and compare it with their handbags. The woman was very happy with her choice. A while later another woman entered the handbag shop and excitedly asked for a new handbag too. This time the shopkeeper handed the woman a pink one. She was very pleased as she had secretly hoped that it would be pink but hadn’t dared to ask, although, of course, she would have been just as happy with a blue one. The shopkeeper continued to do a roaring trade in handbags and most people were very happy with their purchases. The shopkeeper handed her a bag. It was a beautiful bag. Vibrant pink. It stood out from all the others. However, the woman looked at it and shook her head. “I don’t want that one,” she said, fearfully. “Why not?” Asked the shopkeeper. The shopkeeper nodded in agreement. “Well, it’s entirely your choice.” He said, failing to tell her of the beautiful bag’s potential. Of all it could be to her. Failing to help her see its enormous possibilities whilst not denying its limitations. The woman left, sad, hurting, empty handed. She had made her choice. It wasn’t easy but she felt it had to be done. Sometime later, another woman entered the handbag shop, accompanied by her husband. He did all the talking. The shopkeeper looked behind the counter. The shopkeeper showed the man a beautiful pink shiny handbag and then handed it to the woman. The woman’s eyes lit up for a second. Then she lowered them. She knew it would not do. He took the bag from his wife and handed it back to the shopkeeper. And with that, the man marched out of the shop followed by his wife. She had not uttered a word. The woman had no choice. Finally, another woman entered the handbag shop. It was getting late and she was in a hurry. She didn’t have time to really look at the handbag she had been given until she got out of the shop. She immediately noticed it was different to all the other handbags she had seen. Very different – some would even call it flawed. And, although at first shocked by the handbag, quickly the woman began to love it and wanted to keep it. It was her handbag. However, when she showed the handbag to her partner he did not share her love. So much so, he could not live with this particular handbag and demanded that the woman give it away. But this was not the woman’s choice. Someone said recently that having a baby is becoming more and more like choosing a handbag. Only the healthiest, fittest and definitely NOT disabled will do. Even gender is now a deciding factor and not just in other cultures or countries but here in the UK. The right to choose is upheld as the greatest victory for women’s rights. And yet so many women do not even have that choice open to them. We are kidding ourselves if we think they do. *The last example in the story above I have drawn on from meeting a beautiful baby very recently who had been put up for adoption. The baby had a non-life threatening condition. The mother wanted to keep the baby, the father didn’t. The father won. Whose choice was that? Choice MUST be informed…..that is something those of us in the Down’s syndrome community are fighting for with the introduction of the new prenatal test that is set to be rolled out across the UK. Yet what is it that we are actually choosing? A handbag? Or a baby. Disposable goods or a human life? Choice (informed or otherwise) is not all it’s cracked up to be. Just ask the women who don’t have it – though they probably would be too afraid to admit it. Choice has its limitations but possibilities are endless. Women deserve better than a trip to a retail park. And so do their young. 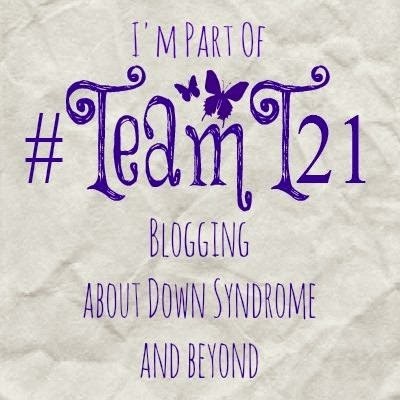 Categories: Abortion, Acceptance, Down Syndrome, Down's Syndrome, Parenting, Trisomy 21, Uncategorized | Tags: #downsyndrome, #fearfullyandwonderfullymade, #NIPT, #Team 21, #Trisomy21 | Permalink. What a way with words you have. Beautiful writing. Just absolutely beautiful. Truly magnificant. The more choice we have the more we become funnelled along a channel of conformity. To challenge that norm becomes difficult as you face those who mutter behind your back. Poor her could she not get a better handbag? Did she not check/have the testing? When will it stop? How far down the path of conformity will we go? Thank you Hayley, you’re such an encouragement to me. Yes, mine is also battered, full of goodness knows what but I love it too!